Ladies designer umbrellas – “Melilla” Mediterranean influenced geometric designs in a choice of 4 colours. 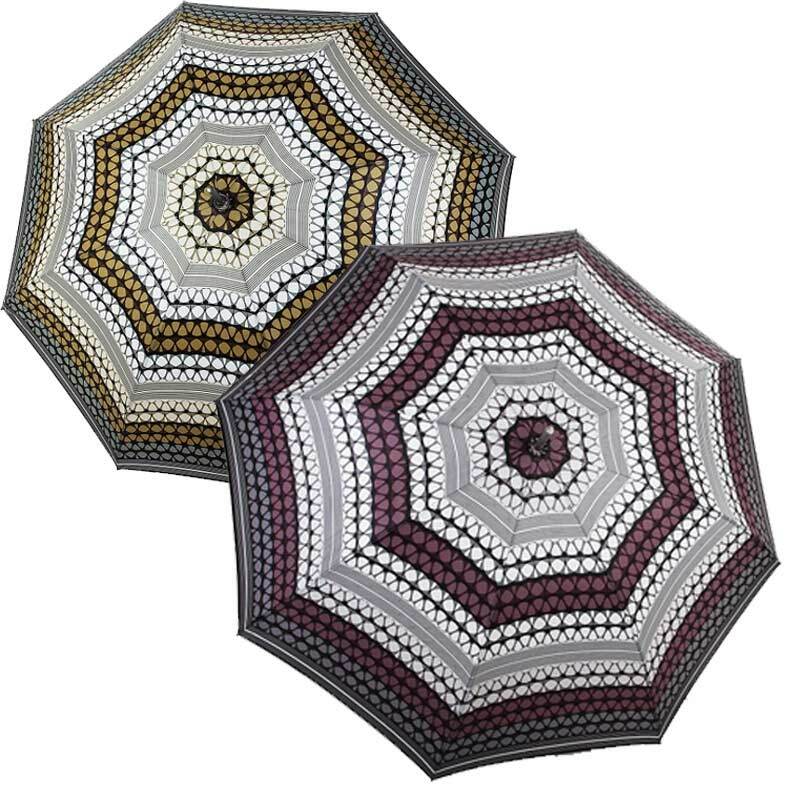 Here we have our Melilla range of VOGUE ladies designer umbrellas. 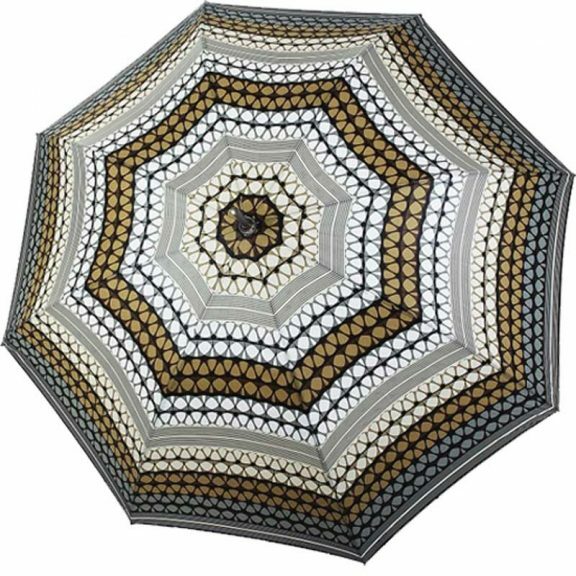 This fantastic Spanish designed umbrella features 4 colour variants to its geometric patterned canopy. 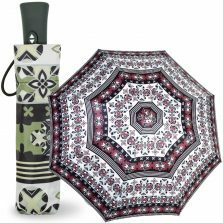 We hope you’ll find something to your taste amongst these gorgeous Mediterranean influenced fashion umbrellas! 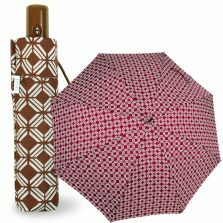 You’ll definitely stand out from the crowd with one of these sensational and fashionable ladies designer umbrellas. The Melilla makes a great companion for when you are out and about. 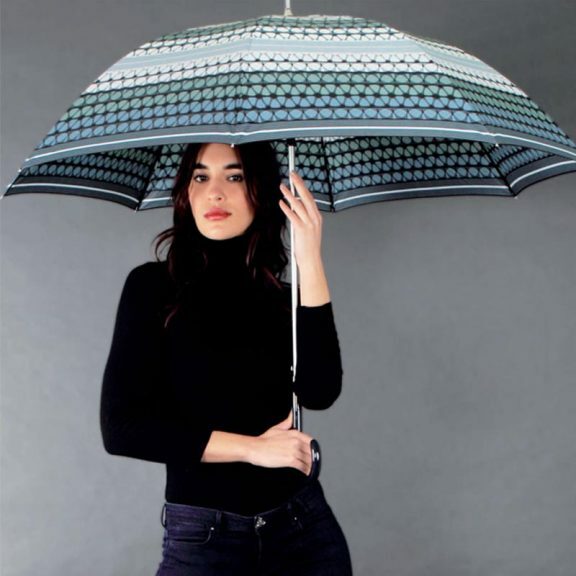 Keep the rain at bay with ease! Thanks to its auto-open feature, you can stay dry at the simple push of a button. The brolly boasts a lightweight aluminium shaft, chrome spoke tips and a bold black, flexible fibreglass frame. These fantastic ladies designer umbrellas are such good quality! Once you have one in your hands you will not want to let it go. This particular Vogue umbrella features a colour matching, glossy crook handle. 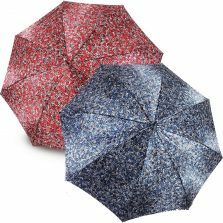 Also, these ladies designer umbrellas feature a neat tie wrap with Vogue tag and an elegant steel tip. Storing and holding your brand new brolly will be a breeze thanks to it’s versatile crook handle. The Melilla boasts a high quality, Teflon coated pongee fabric, meaning that it is extremely weatherproof. 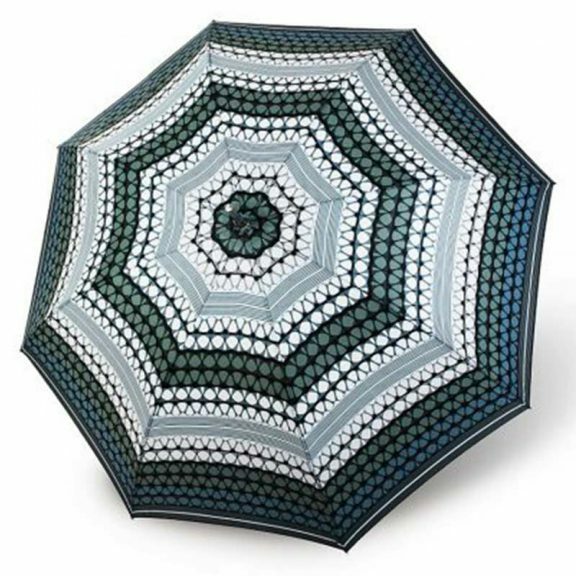 This is exactly what you want from an umbrella. 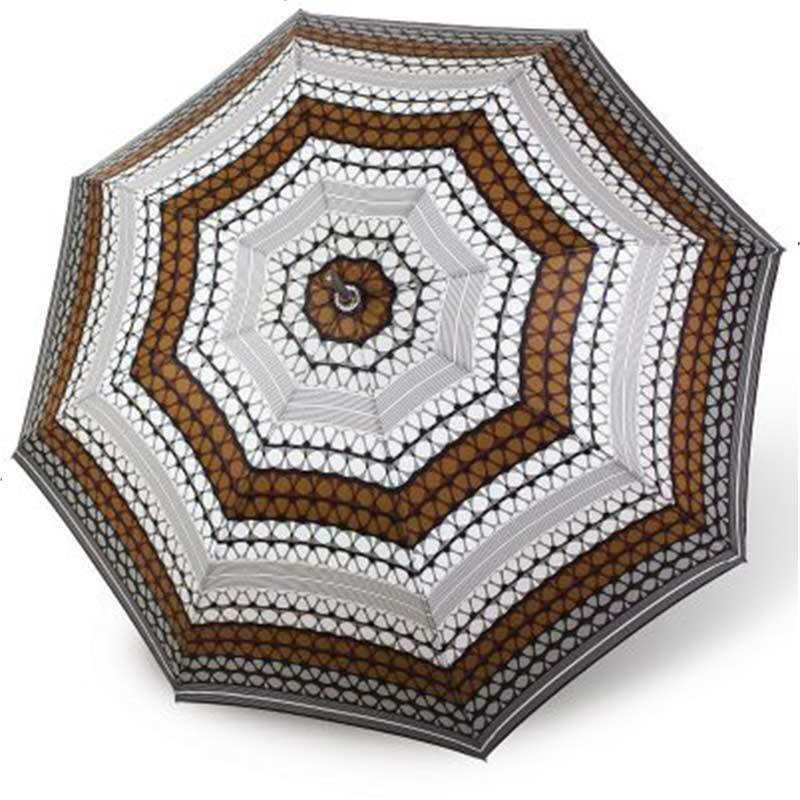 This designer umbrella’s canopy has an impressive span of 112 cm when open. Enough to comfortably shield 2 from the elements! 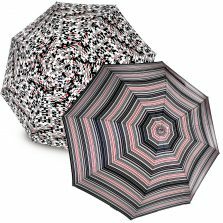 The canopy design / print is what really makes this a beautiful brolly, a kaleidoscope, geometric style printed canopy that is sure to turn heads and make you smile on an otherwise dreary day. These ladies designer umbrellas make a great gift for you or a loved one, so why not treat yourself or your loved one today? Not the umbrella for you? 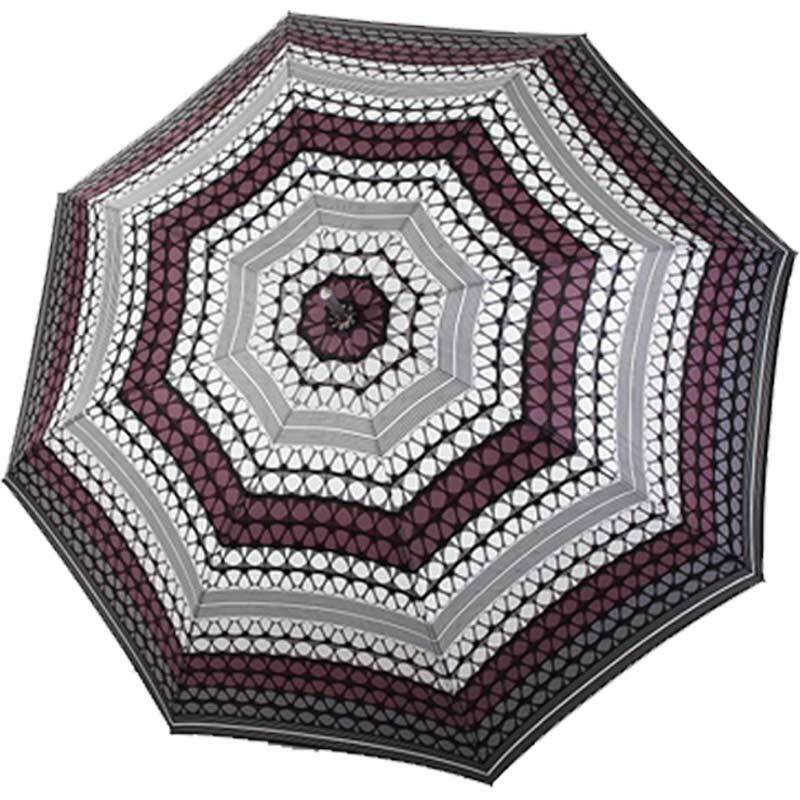 Check out the rest of our range of VOGUE designer umbrellas!